For many of us dealing with the world of law is a rare occurrence, and for this reason dealing with lawyers can sometimes be a daunting prospect. Our team of solicitors in Ellesmere Port, Middlewich & Willaston will explain the legal process to you in detail and keep you up to date on progress until your legal query is completed. Our Ellesmere Port and Middlewich solicitors handle conveyancing cases on a daily basis, so if you need our assistance with a routine property matter you know your query is in safe hands. At the other end of the spectrum, we have a proven track record of handling complex employment disagreements and resolving intricate disputes to our clients' satisfaction. We believe our personalised, bespoke approach to law sets us apart from the competition. We always take the time to get to know our clients, their circumstances, and if applicable, their businesses. 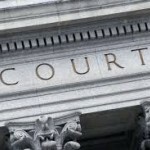 This enables us to target our approach and to handle your legal query in the most effective way possible. If you need assistance with any of the legal matters outlined above, contact our Ellesmere Port solicitors for a confidential discussion regarding your circumstances. You can reach us directly using the telephone number below, or enter your details into the form to the right and one of our experts will call you back. Commercial and business matters, conveyancing, disputes and litigation, employment, probate and Wills. 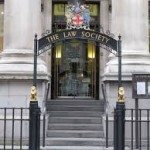 The Law Society has warned that defendants on low incomes are having to make contributions to legal costs - forcing them to choose between legal representation or avoiding slipping into poverty. After a three-year trial a scheme to wrap up claims within a year of issue is set to permanently be adopted. Call our property team now on 01606 834 824 if you need legal advice for a conveyancing or commercial transaction in #Cheshire. Get in touch with our #Willaston solicitors on 0151 327 1301 if you need legal advice or would like to discuss your situation further.